Today, in addition to being the First Sunday of Advent, is the feast of St. Andrew. I took Andrew as my Confirmation name. I did not know at the time that the name Andrew is Greek for “manly” and “strong”. So please address all complaints about my behavior over the last seven years to St. Andrew. Thanks. St. Andrew is also the Apostle of the Cross. His brother, St. Peter, was given firmness of faith by Our Lord, and St. John was given warmth of love (per Gueranger). St. Andrew was given the gift of the Cross. This is my favorite image of St. Andrew by my second-favorite artist, Mattia Preti (second to Guido Reni, of course). St. Andrew was crucified on an x-beam cross, which splays the legs into a much more vulnerable and emotionally charged position. I find this image especially gut-wrenching, and relatable, as I anticipate the possibility that my end will involve, shall we say, extreme physical vulnerability. It would be the pinnacle of delusion to discount to the possibility. 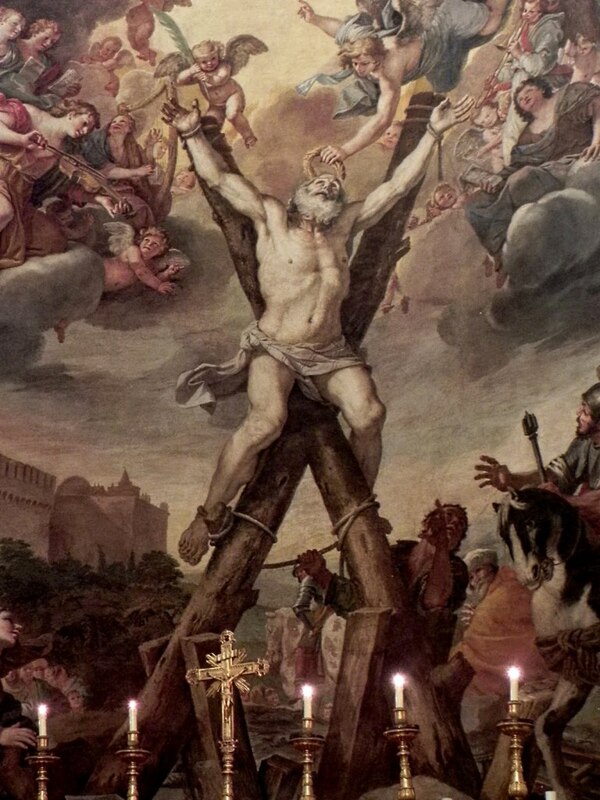 No matter what happens, I hope to follow St. Andrew’s example of manly strength and love of The Cross, and the ability to see my cross as united to the Cross of Christ. This entry was posted in Uncategorized on November 30, ARSH 2014 by Ann Barnhardt.